Having a baby as a new member to your home can be very exciting as well as hilarious. As soon as the little one starts moving, especially as a busy and naughty toddler around your home, parents should be more cautious about the things that may harm them. Besides, the teething babies tend to bite everything they grab with their little hands, which might affect the health! As the kids expand the horizons and activities, and grow up very quickly, many parents carry an endless worry about how to protect the baby! Your child doesn’t know the safety rules! In fact children know nothing other than their mommas! Every time you cannot say to your child, ‘Don’t open the tap’; ‘stay away from gas stove’; don’t touch the plugs; etc. So it parents are completely accountable to provide a safe and secured environment and ensure that your home is childproofed! How to transform your ordinary home into child proofed one? Use protective coverings to all the electrical sockets. Put a protective cover to the electrical sockets as children are induced by the electrical objects! While it is not possible to alter the entire electrical outlets or wiring in your home to provide a safe ambience. Make sure there are no loopholes in the electrical sockets. It prevents the children from putting in their fingers or objects. Make sure that you place all household chemicals like washing powder, cleaning gel, cleaning acids, etc on higher cabinets, inaccessible to children. If not, buy a cabinet to keep these dangerous or explosive objectives locked! Similarly, don’t keep the medicines reachable by the children. Even if it is your kid’s medicine, a simple overdose can be alarming. It is always better to hide the pills and drugs from the eyes of the kids! However, you can always use a childproof cap that prevents the child from using / consuming the drug. The dangerous objects also include appliances like iron box, mixer grinder, mobile charger, etc. Make sure to keep all the breakable objects not reachable by the kids! Especially, protect your kid from placing the glass objects safely! As the child starts to crawl, it can’t wait to explore everything around them! 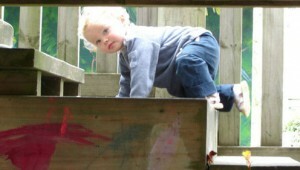 Very easily the child may crawl over the staircase or even reach the doors to find the ways to move outside the home. Many times, the kids tend to climb the stairs or reach the basement. Make sure to use the safety gates to the staircase, which prevents the child getting injured while trying to climb the stairs! Also, ensure that the gates and doors are locked! 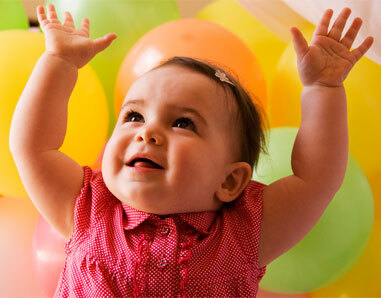 You cannot control the kid crawling or walking all over your home with no exceptions. Make sure to protect your child by covering the sharp and the harmful edge of the tables and upholstery items with foam! A must to do when you have busy toddlers! Make sure to drain off the excess water and keep the surface dry and clean. There are many childproofing devices available to ensure the safety of the kids. For instance, smoke detectors. Remember that although childproofing your home makes your home a safer place for your child, it doesn’t eliminate your job of supervising the kids! You should always watch the activities of your little ones! Another thing to add to my child proofing to do list: acquire a garbage can with a lid. It’s going right behind installing a new door with a higher handle. Between this article and an infographic I found on child safety, I hope my child will have an accident free childhood. A fools hope probably, but I can dream :).